Operation Round Up was formed to assist individuals suffering from personal disaster and organizations with community projects within the Mountain View Electric Association, Inc. service territory. This is a tax-deductible contribution. Would you like to round your electric bill to the next dollar and donate to the Mountain View Round Up Fund? 1. The applicant does hereby, without cost, grant to MVEA such easements and RIGHTS OF WAY including ingress and egress over, on and under all lands owned, leased, or mortgaged by the member on such reasonable terms and conditions as the Association shall require, for the furnishing of electric service to the member or to any other members, and for construction, operation, maintenance, enlargement, inspecting, meter reading and relocation of electric facilities needed for such purpose, including the right to cut and trim trees and shrubbery near any lines. 2. By signing this application, applicant confirms his/her AUTHORITY TO APPLY FOR SERVICE at the stated location. 3. It is the responsibility of the applicant to meet all of the requirements of the INSPECTION AUTHORITY, including proper construction of electric lines on the applicant’s side of the service delivery point. MVEA is permitted to install a meter for a new service only after approval by the inspection authority. 4. An ENGINEERING FEE of not less than $250.00 may be required of applicants for extensions, relocations or conversions. The engineering fee will be credited toward the estimated cost of construction. If Applicant cancels the work order or fails to complete the extension within 18 months from the date of the Cost Letter, Applicant will forfeit the engineering fee. 5. An applicant for extension to an individual New Service may be eligible to receive SHARED COST REFUNDS if the total cost of construction, less any increased costs due to adverse or changed conditions, exceeds $10,000.00. If the property is sold, no further refunds will be made. 6. All pertinent information must be received before the design can be completed. All estimated costs must be paid and all pre-construction requirements completed prior to the SCHEDULING OF CONSTRUCTION. 7. Construction will be consistent with the ENGINEERING SPECIFICATIONS as prescribed by the Rural Utilities Service, a division of the United States Department of Agriculture. 8. An estimated date of CONSTRUCTION COMPLETION will be given upon request, but due to the many factors that can cause delays, MVEA will assume no responsibility for financial or other losses caused by an estimated completion date not met. 9. The applicant will pay the required CONSUMER DEPOSIT at the time of signing this application, which deposit shall be held in accordance with MVEA's tariffs. An additional CONSUMER DEPOSIT will apply to delinquent accounts. 10. PURCHASE OF ENERGY. Applicant agrees to pay applicable minimum charges specified in MVEA’s tariffs. All electric energy consumed on the premises described on the reverse side hereof must be paid monthly at the rates specified in MVEA’s tariffs. The applicant shall receive a copy of the Colorado Country Life monthly magazine, which is paid for by virtue of paying for electric service. 11. BILLINGS for electric service rendered are due and payable upon receipt. Failure to receive a bill in no way exempts a consumer from the timely payment for service rendered. PAYMENTS not received in one of MVEA’s offices by the close of business on the date indicated on the bill are delinquent and account will be subject to additional CONSUMER DEPOSIT, fees and/or disconnection. 12. 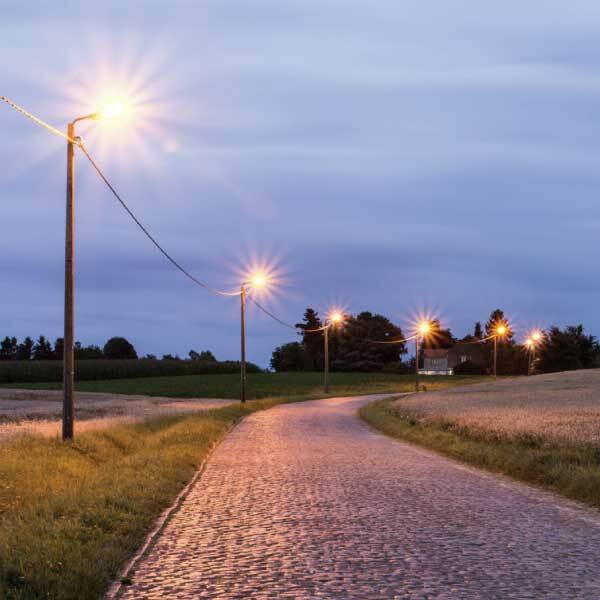 Upon applicant’s request, MVEA will install, own and maintain an OUTDOOR LIGHT on applicant’s premises which will be lit from dusk to dawn, the maintenance to include the furnishing of unmetered electricity at the monthly rate specified in MVEA’s tariff. The contract for outdoor light service shall continue in force for one (1) year from the date service is made available by MVEA to the applicant and thereafter until canceled by at least thirty (30) days written notice given by either party to the other. 13. Upon applicant’s request, MVEA will supply any PUBLISHED INFORMATION pertaining to the operations of the Association, i.e., rates, bylaws, service rules and policies. 14. The Association will use reasonable diligence to provide and maintain uninterrupted SERVICE; but in case of cessation, deficiency, variation in voltage, or any other failure or reversal of the service resulting from acts of God, public enemies, accidents, strikes, riots, wars, order of Court, or other acts reasonably beyond the control of the Association, the Association shall not be liable for damages, direct or consequential, resulting from such interruption or failure. Applicant understands and agrees that MVEA’s responsibility does not extend beyond the service delivery point and/or meter socket on said premises. 15. The RATED CAPACITY of single-phase motors will not be in excess of ten horsepower (10 HP) unless written approval is received from MVEA. 16. MVEA reserves the RIGHT TO PROHIBIT the use and/or require removal of equipment that MVEA believes would adversely affect the electric service of other consumers. 17. Responsibility for the installation of VOLTAGE PROTECTION EQUIPMENT lies with the applicant. 18. All equipment supplied by the Association for the use of each consumer has a definite capacity and for this reason, it shall be the responsibility of the consumer to notify the Association in writing before any change is made in the LOAD CHARACTERISTICS or change of purpose, or of location of his or her installation. Failure to give such notice shall render the consumer liable for any damage to meters or accessories, transformers, or wires, of the Association caused by the additional or changed installation. The applicant hereby applies for and agrees to purchase electric energy from Mountain View Electric Association, Inc. and agrees to comply with and be bound by the lawful provisions of MVEA’s Articles of Incorporation, Bylaws, regulations and tariffs as the same may be amended from time-to-time. This application, upon MVEA’s written acceptance hereon, shall constitute a valid binding agreement between applicant and MVEA and shall continue in force until the service requested herein shall be terminated. Written notification must be given by the applicant for service to be terminated as specified by the lawful provisions of MVEA’s Articles of Incorporation, Bylaws, regulations and tariffs as the same may be amended from time-to-time. BY SIGNING THIS APPLICATION, APPLICANT ACKNOWLEDGES THAT HE/SHE HAS READ AND AGREES TO THE TERMS AND CONDITIONS ABOVE. The applicant hereby becomes a member of MVEA, a non-profit cooperative association. Applicant acknowledges that as a non-profit cooperative, MVEA’s operations may result in the allocation of a margin (excess revenue over expenses) to a capital credit account for the applicant. MVEA may, but it is not obligated to, seek to pay amounts in said account to applicant in some future year. Therefore, applicant agrees to keep MVEA informed of his/her current address for at least fifteen (15) years after termination of service. In the event applicant fails to provide such address and MVEA is unable to refund capital credits, or other property held by it, after making reasonable effort as set forth in its Bylaws, then applicant hereby agrees that such capital credit, or other property, shall be irrevocably assigned and given to MVEA. The applicant assumes no personal liability or responsibility for any debts or liabilities of MVEA, and applicant’s private property cannot be attached for any debts or liabilities of MVEA. Any funds to be paid a consumer by the Association, whether a retirement of capital credits or otherwise, will first be reduced by setoff and recoupment of any amounts due the Association, as shown on the records of the Association, regardless of the time or times such amounts became due and owing. *I agree that I have read and understand the terms and conditions above and I agree to abide by them. *I understand on delinquent accounts that a deposit equal to three (3) months bill will be assessed. *I understand that an MVEA representative will contact me regarding the credit assessment, utility credit reference letter or deposit. Please upload your proof of utility related credit. Please upload a copy of your driver's​ license or state identification card.